There are many professional applications that can create video effects. They produce great animations that are used in million-dollar movies. But, there is a downside. These programs require a million-dollar operator! You need to spend years studying a professional video editing package to get yourself familiar with its interface and features. Even a simplified morphing program is not suitable for morphing faces just for fun. To correctly morph one face into another, you need to mark numerous spots first. ou have to point the victim's eyes, nose, lips and other notable face areas. Marking the spots manually ensures the highest quality but it may take hours! Who needs fun that requires so many hours of hard work? And is this really a fun? And we all know how much professional video tools cost! 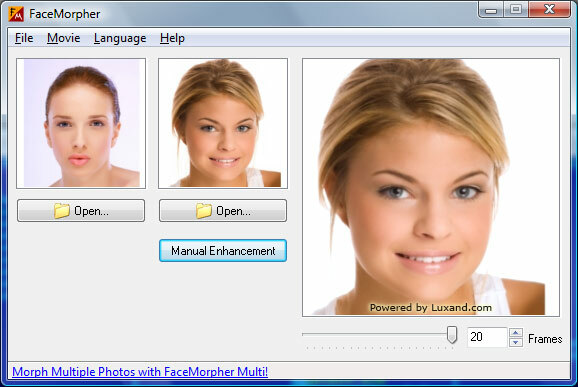 FaceMorpher Multi is a program that turns face morphing into real fun. It guesses the basic spots automatically. You can tune up the spots if you wish. In most cases, though, the automatically guessed spots produce animation that is perfectly acceptable for amateur videos or web graphics. The program is fully automated too. You simply load a series of pictures and let FaceMorpher Multi automatically recognize the images as faces. Then you start the morphing process and the program renders the animation. You can save the result as an AVI file, create an animated GIF image or a Flash presentation for your web site. Fast, simple, effortless and inexpensive. MORPH THEM ALL!!! 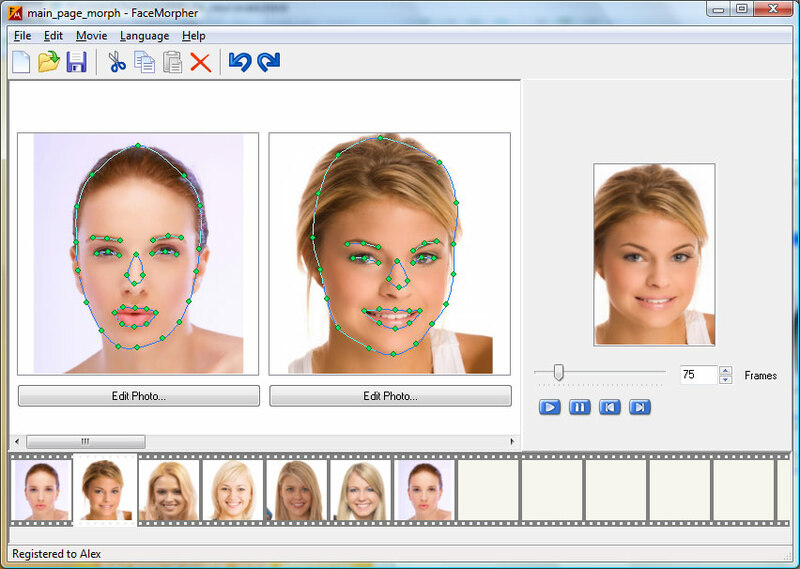 FaceMorpher Weition is designed specifically for online morphing Web applications. 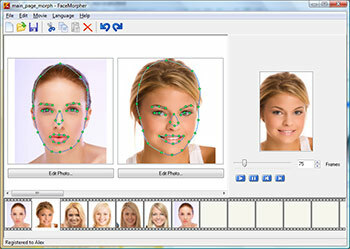 FaceMorpher WE recognizes facial features of uploaded photos and creates a morphing	animation that can be displayed on a website. The integration is quick and easy with the available WEB API, sample code and detailed instructions. Please contact Luxand Inc. to request a demo. Don't want to morph multiple photos? Want a really simple program to morph two photos only? Try FaceMorpher Lite! All you have to do is to load two images and point to the faces you want to morph. It's fun! Imagine your home video enhanced with stunning effects. Filmed a wedding? Try to morph the bride into a little girl and vice versa, or morph the groom and the bride together to see how their kids will look. Amuse your friends morphing them into political celebrities, movie superstars or popular musicians. Express yourself in morphs!